Interested in oral health? 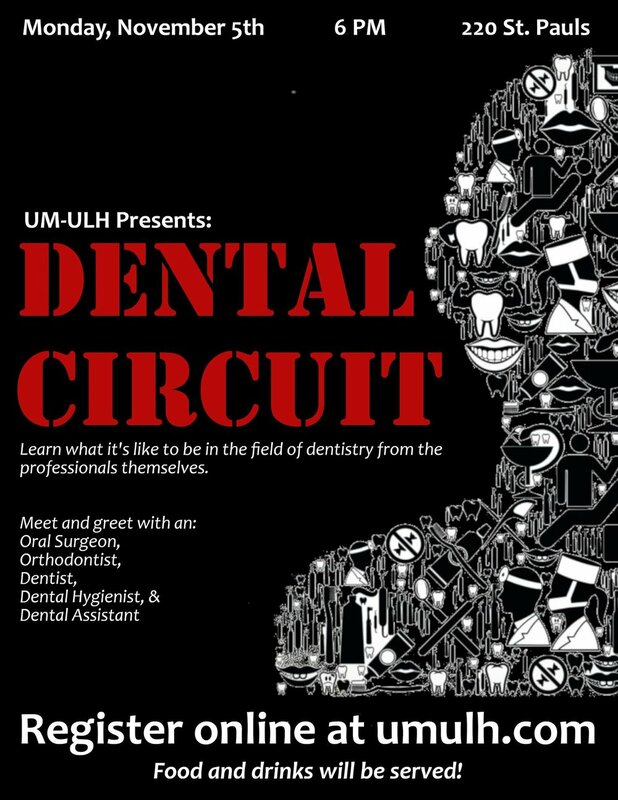 Check out our upcoming event, Dental Circuit. We’re inviting an array of healthcare professionals such as an oral surgeon and an orthodontist! Additional healthcare professionals are also attending such as dental hygienist and assistant. Dental Circuit offers a great way to build connections and to also learn more about what the profession entails. RSVP for this event using the registration form provided below.